Our dad, Sua Muamai Vui Siope was born on our island, Apolima that sits next to Manono, between the big islands of Savaii and Upolu, Samoa. Our mum, Fuimaono Luse Momoi Vui Siope was born into the embrace of her grandfather Taufua Vai at his home on the beautiful beach of Lalomanu, on the southern side of Upolu. They met in the village of Lano, Savaii and migrated to Aotearoa in 1959. They settled on a farm in Taihape where they had three children. Early 1966 mum and our older three siblings travelled to Samoa and were gone for six months. On their return, they find that dad has shifted to Tamaki, secured a job, purchased and fully furnished our new home, on the banks of the Tamaki River. With a full view of the rising sun, moon and stars. Maungarei lofty and an ever-present companion in the distance. This is where I arrive in 1967, gifted with the names, Lilomaiava Ema Margaret Tolua Fetu Siope. Our younger brother and sister arrive soon after. Although it was expensive for a single income family, our parents managed to send all six of us to the local Seventh Day Adventist schools. In those days, they were called private schools with no government subsidy. We were raised to be humanitarians at heart. It is in this capacity that I have had the privilege to serve in varied roles and in many fields, the most recent being Kaupapa Waka. Toeolesulusulu Damon Salesa is a prizewinning scholar who specializes in the study of colonialism, empire, government and race. 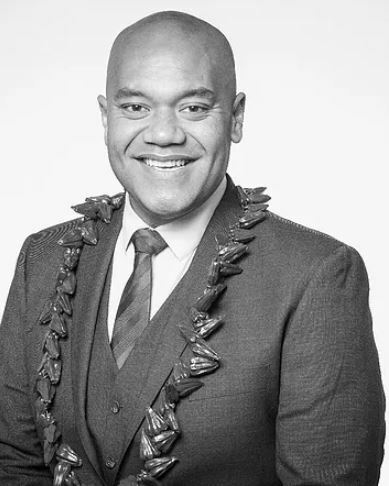 With a particular interest in the Pacific Islands, he also works on education, economics and development in the Pacific region, as well as in New Zealand and Australia. After studying at the University of Auckland, he completed his studies at Oxford University. He is currently Associate Professor of Pacific Studies at the Centre for Pacific Studies, University of Auckland. Previously he was Associate Professor of History, American Culture, and Asian/Pacific Islander American Studies at the University of Michigan, Ann Arbor. Jemaima Tiatia-Seath is currently Co-Head of School and Head of Pacific Studies (Acting), Te Wānanga o Waipapa, School of Māori Studies and Pacific Studies, University of Auckland. She is of Samoan descent and has a community/public health background. Her research interests include: mental health, Pacific suicide prevention and post intervention, youth development, Pacific health and wellbeing and inequities and inequalities in health. “My set of values is simple – my word is my honour and I seal things with a handshake.” Gilbert Enoka has a long history of success as a mental skills coach with New Zealand’s corporate and sporting elite. He is internationally renowned for his 18-year history with the All Blacks, first as their mental skills coach and now as All Blacks Manager - Leadership. He has been with the All Blacks for over 200 tests and during that time the team has won back-to-back Rugby World Cups, one Laureus Award (for the best team in the world), 14 Bledisloe Cups, three Grand Slams, seven Tri Nations and five Rugby Championships. 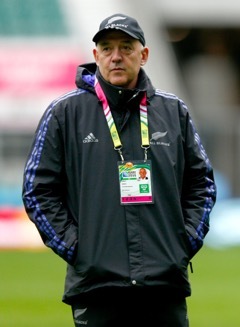 Gilbert’s reputation has also seen him work with the Black Caps, Silver Ferns and Canterbury Crusaders. However, his expertise is not limited to the sports industry as he has worked with a wide variety of Corporate entities who are in pursuit of excellence, consistency and sustained performance over time. Karl Anthony Vasau is of Niuean, Samoan, Tongan and European decent and was born in Auckland. He has held a number of teaching and principals positions in Auckland and Wellington. He has been a principal since 2007 (12 years) in the Catholic and State systems and is currently the principal of Rowandale School, a decile 1 school in Manurewa. Karl believes that Pasifika people have a huge role to play in education especially as teachers. The best teachers for our students are the best teachers and if the best teacher is also a Pasifika teacher then our children are destined to succeed. Efeso is the youngest of six children and was born and raised in Otara. He is serving his first term on Auckland Council as the Ward Councillor for Manukau. Prior to this he was Chair of the Local Board and held teaching positions at Laidlaw College, the University of Auckland and roles in the public service. He has been an outspoken advocate for young people, Pasifika communities and south Auckland. He blogs and offers commentary on social, educational and political issues. He is married to Fia and they have one young daughter named Kaperiela. Efeso holds the matai title Fa’anana from the village of Satufua, Satupaitea, Savaii. Seugagogo Aoga Amata was established in 1993 as a playgroup within the Congregational Christian Church of Samoa in Otahuhu. The Aoga Amata was licensed in 1996 with 10 children under 2 and 20 children over 2. We are now licensed for 10 children under 2 and 50 children over 2. Our philosophy is that we are committed to providing the best quality early childhood education in the Samoan language and culture for Samoan children and their families, as well as others who choose to educate their children in the Samoan language and the Samoan way of life. Sonia Johnston is of Samoan and NZ Pakeha descent. She has been teaching in the South Auckland area most of her career, and is currently the principal at Roscommon School in Manurewa. Sonia often finds herself drawing on her cultural background and experience to support herself and others explore, appreciate, and try to understand differing world views; and how this can promote further learning. Melini Fasavalu is Samoan and hails from Salua and Faleū on the beautiful island of Manono. Mel is firstly wife to Tasesa, mother to Jane, Pela & Siaosi, and nana to Madison and Josiah. Mel has taught in South Auckland for 20+ years and is currently the principal of Waimahia Intermediate School in Manurewa. Mel strives to create an environment in which students and teachers can succeed using her own cultural and professional experience and drawing on the expertise of others around her. Understanding that learners are culturally located in different ways - often in ways different to us as teachers is vital if we are to be effective educators in New Zealand Schools. What’s more important is how we behave and act on these understandings to ensure learners cultural identities and languages are truly valued. During my 2017 Sabbatical I had the opportunity to talk with and access thoughts, actions and understandings from students, parents, teachers and principals across a range of schools in Auckland which has helped me grow a stronger understanding of how we can not only be Culturally Responsive but how we can sustain our actions and beliefs to improve outcomes for learners. I aim to share practical ways of sustaining cultural responsiveness in our schools. The essence of having a basket filled with different ‘kakala’ is that the ‘manongi’ or the aromas that emerge from the collection of kakala in the kato signify the richness of what’s inside the basket or the kato kakala. David Fa’avae is a Tongan male who was born in Niue, raised in Aotearoa, with Samoan heritage. He is a father of an eight year old Tongan boy, and an uncle to many Tongan nieces and nephews. 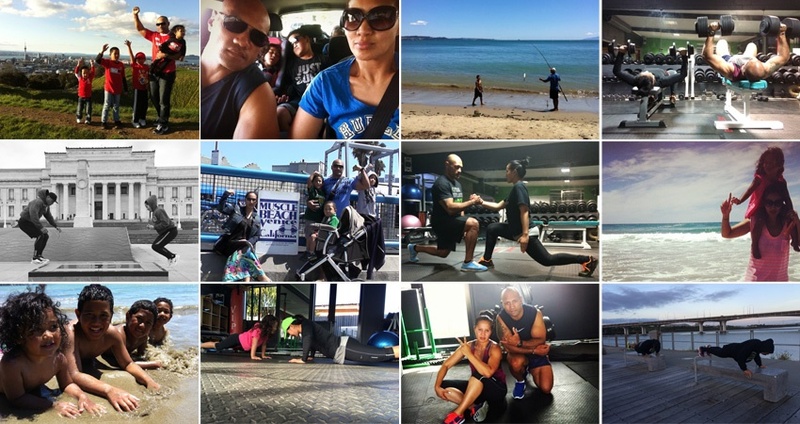 He and his wife ‘Elenoa and their son Daniel currently work and volunteer in Tonga. As a Fellow in Research and Leadership, David works for the University of the South Pacific’s (USP) Institute of Education (IOE) and their primary role and responsibility is to provide educational services through research, professional learning and development, and publications for 12 Pacific Island nations in the region. Prior to serving in the Pacific, David was a secondary school teacher and middle manager in South Auckland. I am a first time principal with 2 years of principalship experience and over 20 years of experience in education. I have taught in Otara and Manurewa primary schools having taught at all levels from New Entrants to Year 6. My leadership journey includes managing schools at Whakatakapokai (Care and Protection) and Korowai Manaaki (Youth Justice). I am married with four children ranging in age from 16 to 25 years and have one grand-daughter. I am a first generation NZ Cook Islander and my ethnic roots hail back to Aitutaki and Rarotonga in the Cook Islands. I was educated in Otara and pay all respects to my family and amazing teachers who believed in me. Dr Diane Mara after spending many years working within research, policy development and teaching is a consultant in Pacific education and community development. She has just completed her work as a Senior Lecturer for Te Rito Maioha Early Childhood New Zealand in Hastings in December 2017. Diane is currently working with Heretaunga Free Kindergarten in professional support in meeting the needs and interests of Pacific children and their families. In her wider community involvements Dr Mara is the Chair of Hawkes’ Bay IHC Association, a member of the NZ Member Council of IHC, Deputy Chair of the Hawke’s Bay DHB Consumer Council, Chair of Tiare Ahuriri of Pacific Women’s Council, and the Chair of the Napier Family Centre, a social services provider in the Hawke’s Bay Region. Dr Siautu Alefaio is a Senior Lecturer at the School of Psychology Massey University, and International Fellow of the Humanitarian Innovation Initiative (HI2) – Watson Institute, Brown University. She is the first woman of Samoan and Pacific descent to become an Educational psychologist. Trained in Educational psychology Siautu is an experienced psychologist practitioner who has worked across various applied psychology contexts in education, health, social services, community, family violence-prevention, forensic rehabilitation and disaster humanitarian response across New Zealand, Australia and the Pacific. She is Founding-Director of New IndigenoUs-innovation of Pacific Humanitarians (NIUPacH), a virtual research collective based in Oceania focused on improving the effectiveness and accountability of disaster preparedness, risk resilience and management, humanitarian response, and post-emergency reconstruction. Understanding that traditional psychology does not inevitably reflect indigenous cultures has been well documented. Siautu’s work pioneers a new way forward in psychology that encompasses experiences, values and beliefs of Oceania for reforming psychology.Her research expertise draws on extensive applied psychology experiences to develop a NIU (New Indigenous Understandings) psychological research platform for re-informing psychological theory and practice. Kaveinga is an ardent believer in breaking status quo, a strong advocate for Pasifika Women in entrepreneurship and business and she absolutely loves her family. 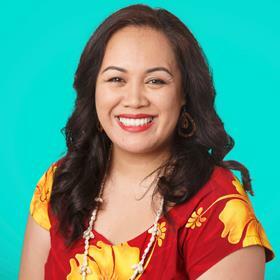 Kaveinga is Tuvaluan, born and raised in Auckland and received her BSc in Business Management emphasis in Marketing from Brigham Young University – Hawaii. Since then, she has co-founded several startup companies in the exporting industry, childcare industry and an on-line store. She currently manages content for Manaui, consults for I.D.I.A and is the Chief Operations Officer of Vaka Interactiv. Vaka Interactiv was one of the first 3 pacific businesses accepted into the world’s first cultural accelerator - Mahuki Innovation powered by Te Papa Museum. Kaveinga possess 10 years of leadership, workplace training, learning and development on community and church level, provided mentorship to Pacific Island third year medical students for MIT and taught Level 3 First Line Management Business course at Te Wānanga o Aotearoa. Mana Moana is anchored in Pasifika indigenous knowledge, it visits us through the ground-breaking Postdoctoral research of Dr Karlo Mila which explored wellness and wellbeing through the examination of Pacific source generative words & concepts, the careful study of Pacific proverbs from Samoa, Tonga, Niue, Cook Islands, Maori and Hawaii'. It revisited the retelling of our traditional narratives and brought us a renewed focus on the importance of how we use metaphor in our Pasifika languages. Dr Karlo Mila collaborated with Clinical Psychologist Dr Evangelene Daniela and transformed & placed these indigenous words, proverbs, stories, ways of being onto a metaphorical landscape called Motutapu, the sacred island. “Mana Moana: Journey to Motutapu” provides a way to explore the landscape, grow, create, regenerate understanding and meaning in order to navigate our relationship with all living beings. William Pua, Ailaoa Aoina and Evangelene have spent 4 years collectively developing their Mana Moana practice in their respective fields of psychology (Youth forensics, Private Practice, Mental health), social work, community development & education as well as collaborating on various conjoint projects. This workshop will demonstrate how they have used Mana Moana in education, leadership, and therapeutic settings, allowing for Pasefika ancestral knowledge and wisdom to inform and guide our practice. Whilst also giving access to young people to see, feel and experience the wise and healing ways of our tupuna and cultures, so that even in this urban contemporary context of Aotearoa, they may find their way ''home''. Pacific peoples have been found to have a higher prevalence of mental illness than the general population and current mental health services have been unable to meet these needs. Management of mental illness among Pacific people in New Zealand has largely focused on designing appropriate Pacific cultural tools but has largely ignored cultural understandings and interpretations of mental illness. Earlier research exploring the meanings of mental illness amongst Tongan people developed an alternative Tongan model of care based on a communal fishing technique called Uloa. This model captures Tongan interpretations and constructions of mental distress and is proposed as a model for practitioners to use. Sione is currently lecturing at Massey University, School of Nursing, after completing his PhD exploring Pacific constructions of mental illness. Sione migrated to New Zealand in 1999 and worked at Counties Manukau DHB through different areas of mental health like Pacific mental health, early interventions, liaison psychiatry, acute mental health, crisis mental health and research. He has been awarded with research projects and scholarships and is now funded by Health Research Council of New Zealand to look at a mental health framework for Tongan people. Sione is an active member in our community, is a church minister with the Free Church of Tonga (Siaosi Tonga Tau’ataina) and is married to Olaka’aina and they have a son, Ma’afu. I identify as Palagi and am currently a Senior Teacher for He Whānau Manaaki o Tararua Free Kindergarten Association where I partner with Lealamanu’a Aiga Caroline Mareko to support our Pasifika kindergartens and home-base service. I have been privileged to work in the Pasifika ECE space for over 15 years and it is this passion and drive for advocacy for Pasifika ECE that has now lead me to undertake my PhD focusing on Pasifika leadership within ECE. The significance of leadership will be woven throughout this presentation. Key issues that continue to negatively impact on Pasifika ECE services will be explored, coupled with some provocations to encourage positive change. Finally the workshop will share some snippets of practice that Caroline and myself have implemented that has supported services to thrive and prosper. We are at a point of critical urgency in Aotearoa, and what happens in the classroom every day is a matter of life and death for our young brown scholars. Over the last year and a half, Southside Rise workshops have been attended by over 200 young people. Through talanoa, fono, workshops, rehearsals, experience days and lots of pizza, 100 young brown scholars of South Auckland shared their stories, drawing on creative processes from hula, hip-hop, siva, tau'olunga, spoken word, fagogo, social media, design, rap and song. In this workshop the Black Friars will share some of her experience in working with Polynesian wayfinders and what it might mean to them to reach back and pull forward, to honour our ancestors, to elevate our traditional literacies, to grow our future leaders and to encourage our young people to walk tall in both of their worlds. Pukepuke 'o Tonga translates to "hold on to" or "to uphold" Tonga with the focus to share our Tongan stories and bring them to life through music and dance. Pukepuke ‘o Tonga has been working with the Tongan community in Auckland since the early 90s within different churches, youth groups, Universities, Colleges and Primary schools; teaching and sharing Tongan Traditional music and dance. We officially debuted Pukepuke ‘o Tonga as a production group at the Tempo Festival in 2012 and were awarded - “most significant event”. We continue to create projects that align with our mission through the mediums of theatre, music and dance. We are passionate educators from Southern Cross Campus Preschool a mainstream community base early learning centre. Our interactive workshop explores the vision and philosophy that we use along with the strategies we practice to ensure that the process of transitioning from our Preschool to Primary school is seamless for our tamariki. Join us as we create exciting resources to add to your kete that will assist children in building beneficial self-help skills for this process. Melvin Taupulega Apulu Jnr a humble son of Samoa from Faleasiu and Apia, eldest son of Apulu Taupulega Melvin Apulu and Hinemoa Flora Mualia Apulu. A current Senior Lecturer and Pacific Partner at Manukau Institute of Technology. Joshua Iosefo is an award-winning film director and recent graduate from AUT where he completed his Bachelor and Post-Graduate Diploma in Communications. He is well known for his Spoken Word poem ‘Brown Brother’ which he performed at the age of 17. Since then, Joshua has had an extensive career as a motivation speaker, speaking for TED, the Ministry of Education, Teach for All, Duffy Books in Homes, Fuji Xerox, National Young Leaders Day and schools and Universities across the country. He was named valedictorian and awarded Graduate of the Year speaking at his graduation which gained global media attention. Joshua currently works as a project coordinator for the Office of Pacific Advancement at AUT and has a passion for empowering young people and hopes to change perspectives on education. Leilani Fina’i Clarke is currently the Senior Manager – Suicide prevention at Le Va. A national Pasifika NGO whose purpose is to support Pasifika families and communities to unleash their full potential and have the best possible health and wellbeing outcomes. With thirteen years’ experience within the New Zealand public sector with large scale design and implementation projects, Leilani’s strengths lie in training strategy, planning, needs analysis and facilitation. Before moving to Le Va, Leilani worked within the Pacific community as the Regional Pacific advisor for the Department of Corrections to enhance services and engagement with Pasifika offenders and their families. Leilani is also the Company Director and co-founder of family-based theatre company Kinetic Wayfinding, that focusses on the concepts of wellbeing through a holistic theatre approach working with youth. In 2015 our first class of Year 0-1 students began our journey as the Samoan full immersion unit at Wiri Central School. We have grown into 3 classes since and currently we have Years 0-1, Year 1-2 and Year 3-4 classes. All 3 classes remain taught in full immersion Samoan. Our vision is that our tamaiti will be literate in both Samoan and English by the time they leave primary in Year 8. Our prayer is that they will maintain and retain our Gagana and Aganu’u Fa’asamoa throughout their life. We are Fofoa i Vaoese. Dr Meaola Amituanai-Toloa was a Senior Lecturer in the School of Curriculum and Pedagogy and Senior Researcher and Associate Director for the Woolf Fisher Research Centre under the directorship of Professor Stuart McNaughton at the Faculty of Education, The University of Auckland until 2014. She was appointed as the first ever Associate Dean Pasifika in The University of Auckland having held this position from 2008-2011. She was also the first University of Auckland Pacific Island doctoral graduate to be employed by the Faculty of Education. She has supervised a number of postgraduate masters and doctoral students including international students. She was an independent researcher for Teuila Consultancies until 2016 and currently a doctoral adviser. Her research interests include bilingual and biliteracy development, effective teaching, home and school practices and language development. Born in Hawaii to Samoan parents – raised around the Pacific. Currently residing in Mangere Auckland. I am a Learning Centre and Achievement Centre teacher at Mangere College. My dad used to describe me as ‘a jack of all trades and an almost master of everything’. Essentially this means that I’m a fiapoko. I write film scripts and poetry, draw and paint, sing, dance (only when everyone is watching), act and direct productions. But my favourite past times are Cooking, Baking and Eating. Ala’imalo Falefatu Enari (Lepa, Safune, Vaiala) and Parehuia Enari (Rongowhakaata, Te Aitanga-a-Mahaki), are a husband and wife team who have years of teaching experience and key leadership roles behind them within Māori bilingual and English medium primary and secondary programmes. 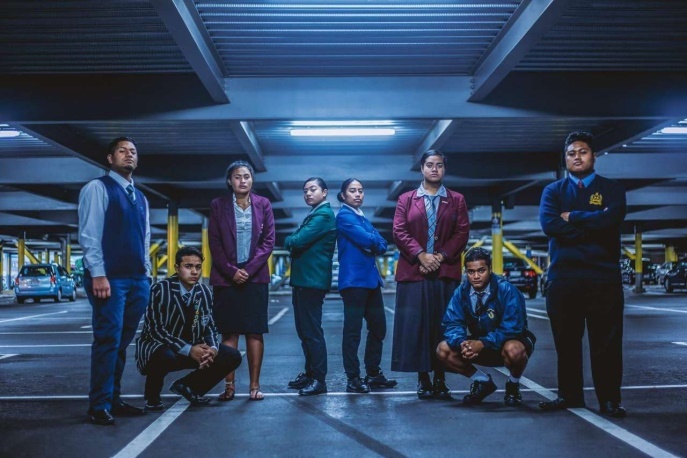 They are the co-principals or “matua/parents” of Aotearoa’s very first Pasifika Secondary school, Pacific Advance Secondary School who are committed to providing a Pasifika mo Pasifika education model. Falefatu is a transformational leader with strengths in the development and empowerment of people, and is a dedicated family man who strives for and encourages advancement within his work, community and personal life. Parehuia is a collaborative leader with strengths in mentoring and leadership development. She is passionate about raising achievement in her own and other children’s educational and personal lives so they may make a positive impact in the lives of others. I am currently Chief Executive of He Whānau Manaaki o Tararua Free Kindergarten Association, an organisation that oversee 85 kindergartens and a Pasifika Homebased Learning service in the wider Wellington Region. As well as operating Etu Ao, our homebased service, three of our kindergartens are Pasifika kindergartens, and we hold a Whānau Ora contract to work with Pasifika families in the wider Wellington area. My workshop will be exploring how our predominantly Palagi organisation has crossed boundaries (sometimes pushed boundaries!) to provide diverse and innovative services that are culturally responsive and authentic. The workshop will use narratives and give examples of strategies used. The education system is in crisis. Growing teacher shortages, increased workload, insufficient support available to meet student needs. This campaign is about working with communities to call on government to make a new investment in education so that all children receive an education they deserve. We must all raise the visibility of the campaign by building wide-spread community support for this campaign and for the renegotiation of teachers and principals' collective agreements. We're addressing the historic undervaluing of our poorest paid colleagues in the education sector - support staff and early childhood education teachers. We are seeking mana tuarite for these women who work with our youngest children. It's clear that their skills, responsibilities and effort haven't been recognised and this needs to change! Join us to make a historic difference. Suicide is a devastating tragedy which can happen to people from any socioeconomic background, any ethnicity, any age, any gender, any creed, any profession, anywhere at any time. Clinical psychologist Pauline Tupouniua-Taufa (MNZCCP, Sc.,MSc.Psychology;PGDip.Applied/ PG Dip Clin Psych) has dealt with many people at Tiaho Mai Middlemore Hospital who have attempted to take their lives. She has also worked with young people and their families in various community settings (e.g. school-based health services, churches, family violence prevention and positive parenting programmes, GP clinics – i.e Primary Health settings) to secondary mental health centres and specialist services such as Early Psychosis Intervention Team, to Tertiary Acute/ Inpatient /Hospital based settings. She is currently at Counties Manukau Health Faleola Services (Pacific Mental Health). Pauline has counselled families and friends who have lost a young child or a teenager to suicide. She volunteers with the Toko Collaboration Charitable Trust to raise awareness of the risk and protective factors of suicide amongst communities and co-facilitates workshops with ‘Alisi Tatafu (BA, ip.TESSOL; PGDip Secondary Tchg), a secondary school teacher at Mangere College, to remove the stigma of suicide. Marina Potter (BSc, Dip Tchg), Toko’s project manager, works alongside Pauline and ‘Alisi, crossing boundaries and barriers in their quest to save the lives of children and youth through messages of hope. Cultural consultant Sefita Hao’uli and psychiatrist Dr Siale Foliaki oversee this Toko work and Dr Seini Taufa evaluates it. Fia is of Samoan heritage and was born and raised in Ranui, west Auckland. She is a trained secondary school teacher of History, Social Studies and Gagana Samoa. She has previously worked in the State sector, community engagement roles and employment advocacy. 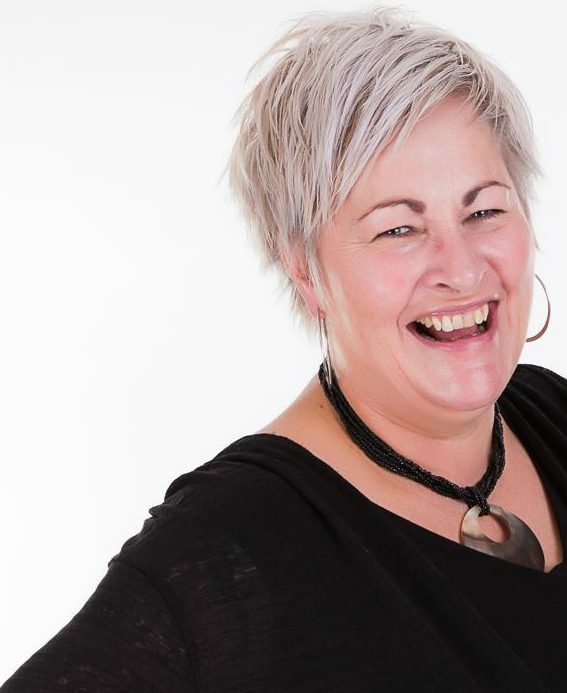 In her current role as a Diversity Advisor at Diversity Works NZ, Fia designs and delivers training to private and public organisations about Cultural Intelligence, Unconscious Bias, tackling gender bias and bridging the generational gap in the workplace. She is an active member of her local church and is married with one daughter. Fia is an avid supporter of the Northern Mystics netball team and enjoys movies, traveling and time out with family. She holds the Samoan tulafale chiefly title of Vasa from the village of Puapua, Savaii. Aiono Manu is currently completing her PhD in Education at the University of Auckland looking at Pacific Island secondary school students’ perceptions of their NCEA success. Previously as Consultant and Expert Partner for CORE Education 2012-2018, she gave advice pertaining to Pacific Education across all sectors - from early childhood, compulsory schooling to tertiary and adult community education. For Komiti Pasifika NZPPTA between 2005-2012, Aiono Manu helped to create submissions and consultation feedback for the MoE Pasifika Education Plan, the Ministry of Pacific Peoples’ Pacific Languages Framework and the NZQA Pasifika Strategy. Using her skills as a social anthropologist and ethnomusicologist, she challenges educators to consider multiculturalism to raise their cultural intelligence in navigating spaces of ethnicity, identity, and diversity. 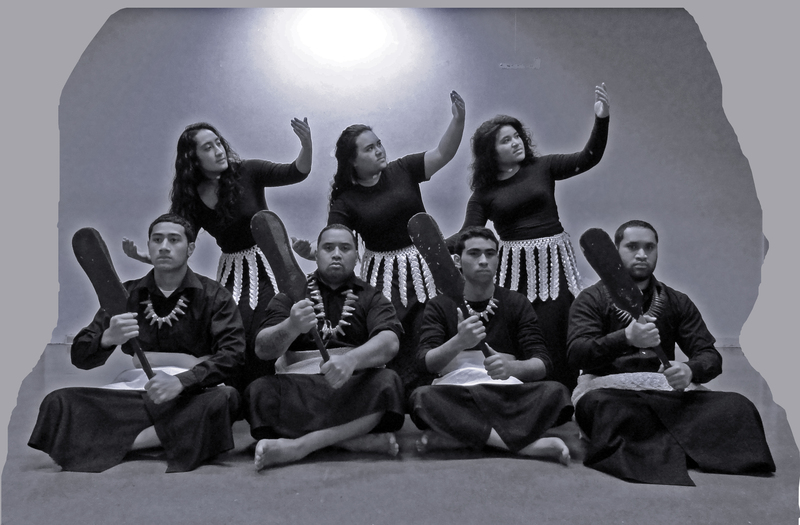 Aiono Manu will highlight some of the key concerns on multiple levels about what it means to push the boundaries. This workshop is for leaders and teachers who are looking to get outside of their comfort zone. If you are fed up with feeling helpless and feeling like you are insignificant in your role, that you feel alone in your mission to bring about systemic change - then this is the workshop for you. Be prepared to leave your fears and tears at the door. There is no room for push me pull you mythical creatures in the teaching profession. The time for pushing boundaries has arrived. - Activities around Career Pathways, Calendaring, Goal Setting and Team Building. Currently a Whanau Mentor with The Salvation Army, previously Whanau Ora with Pacific families, most of my experience has been in the not-for-profit and NGO sector serving our most vulnerable communities. Excited to add a community based, Pacific trustee voice, from the regions to how we can "do" a holistic approach to education better.